I have another project available for FREE download on the Echo Park website here. This Ice Cream Album using the Sweet Day Collection is a perfect Summer Holiday Keepsake. There are some lovely pictures of the inside on the download – as well as a link to a tutorial showing exactly how to make it. You won’t believe how easy it is! To see more pictures as well as the step-by-step instructions you will need to go to the Echo Park e-commerce site here. This project (and many others) are FREE to download – though you will have to register first – but that only takes a sec. Click here to be taken to the download site. Cosmo Cuties – Custom Baby Clothes! I just downloaded the tutorial–thanks! This is the cutest thing ever!! 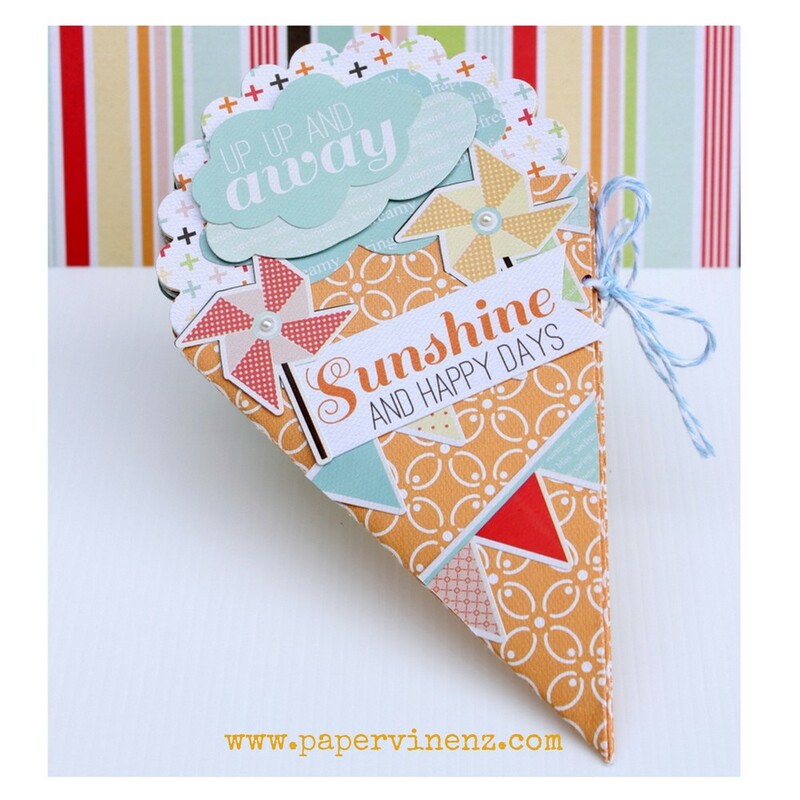 Such a great project idea and I love that paper line! Thanks so much for linking up to The Creative Spark. I'll be featuring this tomorrow and will hopefully get a chance to make an album of my own! Enjoy your weekend! So lovely i cant see the pdf? ?